NO EXPERIENCE NEEDED!! 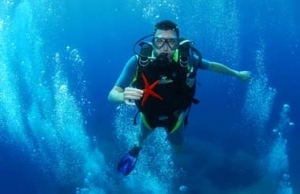 This program lets you experience the thrill of diving under the supervision of a PADI Dive Instructor in the pristine waters of the mediterranean. Explore the coral reefs, the red star fish and tropical fish galore! There is nothing like breathing underwater for the very first time. It takes a little getting used to –after all, human beings weren’t designed to do that – but after a few minutes of awestruck wonder, most participants realize how easy scuba diving really is. 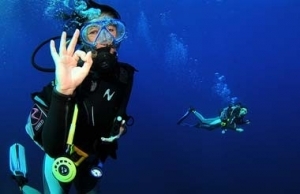 The biggest challenge instructors have with the Discover Scuba Diving program is not coaxing participants into the water, but coaxing them out when the program is over. 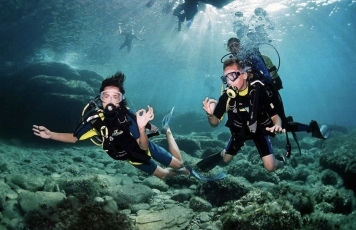 Whether you are a beginner scuba diver and looking to explore the underwater world or an experienced scuba diver you'll enjoy this adventure of a life time. 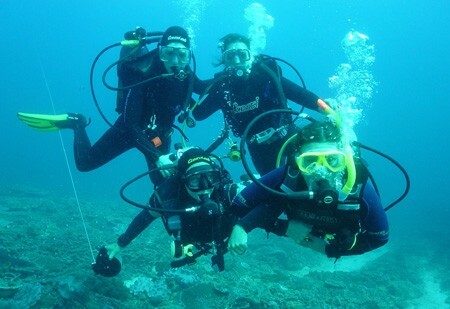 Our trained dive master and PADI certified instructors will ensure your day is safe and full of excitement. The scuba shuttle will take you to the dive boat a mile off shore where you will relax and enjoy the beauty of land and sea. Be careful, you could become hooked for life! We create a very special and informal atmosphere in which our professionally trained and experienced instructors will help you easily and safely realise your own goals. All the diving courses are from PADI - the most internationally recognised certification. With a PADI licence you will be able to dive all over the world.